This topic has 2 replies, 2 voices, and was last updated October 17, 2017 at 11:08 am by Gernot66. * The most important among them is the replacement of the flight UI. Ecraven and I are worked on this since a year or so, ping-ponging ideas and mockups, and him doing the heavy lifting of coding. The outdated old HUD is now mostly gone, and the new one, based on [dear-imgui](https://github.com/ocornut/imgui “dear-imgui”) introduces some important quality of life features and improvements. With the information it presents, you can now fly anywhere without the aid of the autopilot. (Note: the autopilot is still there 🙂 ). And apart from being useful, we aimed for a simple elegant look. Our goal is to continue this work, and bring over all UI elements to this new system eventually. You can find the [documentation of it on our wiki](https://pioneerwiki.com/wiki/Flight_UI “documentation”), along with a [tutorial on how to use it to fly anywhere](https://pioneerwiki.com/wiki/How_to_fly_without_autopilot “tutorial on how to use it to fly anywhere”). * There is a new type of radar display too: an azimuthal projection one. You can switch between them by right clicking on them. * We also changed the [default keybindings](https://pioneerwiki.com/wiki/Keyboard_and_mouse_controls “default keybindings”), to allow for flight with one hand on the keyboard and the other on the mouse. To boil it down: the WASD side is now for lateral movement, the IJKL side and Right Mouse is rotation. Existing keybindigns aren’t affected. 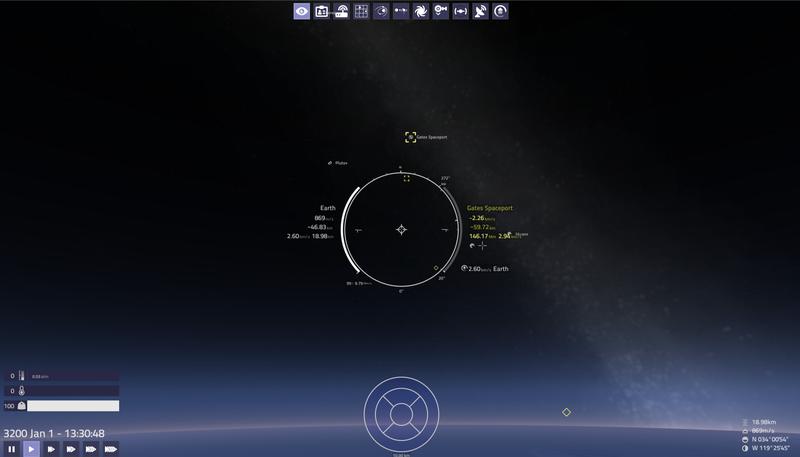 * The orbital station lobby now shows the orbital period. * System info shows local gravity in Gs too, not just m/s^2. * There is also a new ship in the game, the Mola Ramsayi I’ve already teased in the screenshots thread. A bigger sister of the Mola Mola. * There is new music also, thanks to WKFO. The occasion isn’t too cheerful though, it is played when your ship is destroyed. * Landing gear must be raised, or the Hyperdrive will refuse to hyper. * Ships are now damaged by [excessive pressure](https://www.youtube.com/watch?v=a01QQZyl-_I “excessive pressure”). Fuel scoopers beware! * A bit late to the party, but you can now find TRAPPIST-1. Although not under that name ;). Bonus points for the one who finds it first and posts screenshots (no cheating!) Hint: it’s within 5t fuel range if from the Sol start. * There were quite a few under the hood changes too, and bug squashing. But as with software development, there could be new ones, or old lurkers [so don’t hesitate to report them, if you find some](https://github.com/pioneerspacesim/pioneer/issues “so don’t hesitate to report them, if you find some”)! And as always, Pioneer awaits contributors! So if you are a coder or artist, don’t hesitate to get knee-deep. 🙂 You can find us on the [#pioneer channel](https://webchat.freenode.net/?channels=pioneer “#pioneer channel”) on freenode. I think it’s safe to say that this is the biggest and most active period in pioneer development for many years time. We did a sneak-pre-release earlier this month, but excluding that, this is the first release since April. 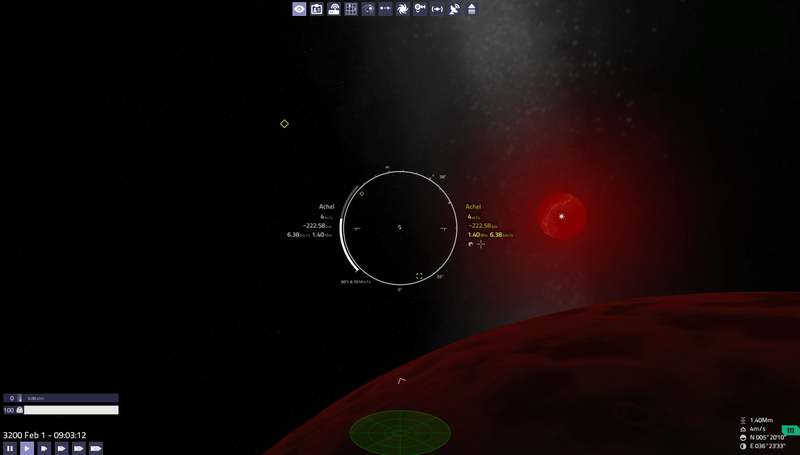 You can see the [full change log](https://github.com/pioneerspacesim/pioneer/blob/master/Changelog.txt), as always, in the source tree. Please help us spread the word, and [retweet](https://twitter.com/pioneerspacesim/status/901843003316330497)! don’t get angry but i Start to wonder how i controlled the ship in earlier years without Autopilot, especially when docking had to be performed manually. it’s not that i like to say it’s Bad. it’s just that i wonder if i would need this. i guess i get the idea right just by looking at it. and thats the goal of a HUD. though graphically it fulfills the task.